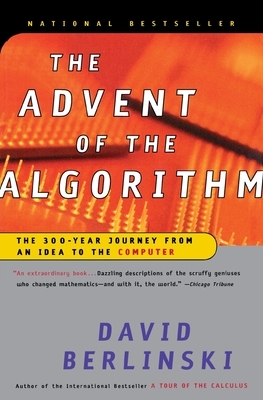 In The Advent of the Algorithm, David Berlinski combines science, history, and math to explain and explore the intriguing story of how the algorithm was finally discovered by a succession of mathematicians and logicians, and how this paved the way for the digital age. Beginning with Leibniz and culminating in the middle of the twentieth century with the groundbreaking work of Gödel and Turing, The Advent of the Algorithm is an epic tale told with clarity and imaginative brilliance. David Berlinski is the author of three novels and four works of nonfiction, including the bestselling A Tour of the Calculus. Berlinski received his Ph.D. from Princeton University and is a regular contributor to Commentary and Forbes ASAP. He lives in Paris.